Blue Sky Fibers Blue Sky Fibers Cromwell Pullover Pattern - Woolly&Co. Cromwell is the new favorite sweater. 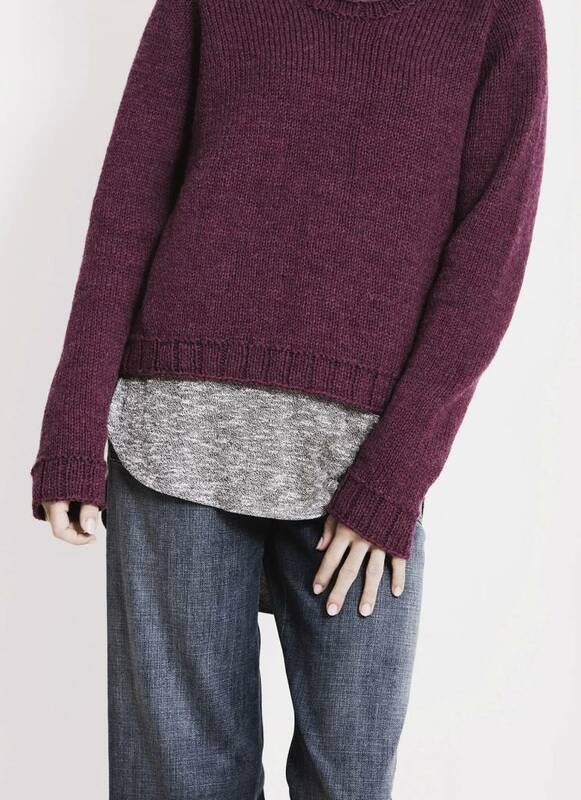 With longer sleeves, a roomy neckline, 3×1 ribbing and a relaxed fit, it gives a modern look to the traditional raglan-sleeve pullover. Knit in one piece from the top down with springy worsted weight. It’s a great advanced beginner piece. This is a PERFECT sweater pattern!! I've made it twice!! It would be a good first sweater to tackle if you haven't made one yet. 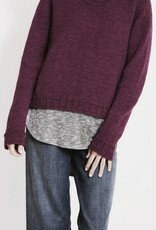 It is knit from the neck down. You can choose from so many different yarns to make yours unique! Love the Cromwell!! !